China has funded a study to build an international rail link from the city of Kashgar in the Xinjiang Uygur autonomous region in Western China to Pakistan's deep-sea Gwadar Port on the Arabian Sea, according to Zhang Chunlin, director of Xinjiang's regional development and reform commission. "The 1,800-kilometer China-Pakistan railway is planned to also pass through Pakistan's capital of Islamabad and Karachi," Zhang Chunlin said at the two-day International Seminar on the Silk Road Economic Belt in Urumqi, Xinjiang's capital, according to China Daily. "Although the cost of constructing the railway is expected to be high due to the hostile environment and complicated geographic conditions, the study of the project has already started," Zhang said. "China and Pakistan will co-fund the railway construction. Building oil and gas pipelines between Gwadar Port and China is also on the agenda," Zhang added. 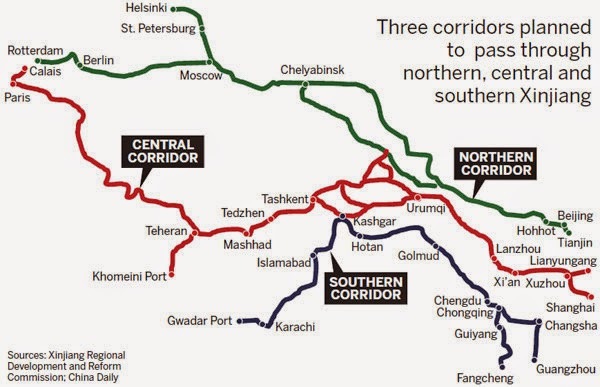 The Pak-China link announcement was part of the discussion on China's broader effort to revive the historic Silk Route by building three main corridors through southern, central and northern Xinjiang to connect China with Russia, Europe and Pakistan. The Silk Road Economic Belt International seminar which concluded on Friday in Urumqi, Xinjinag was jointly sponsored by the State Council Information Office, China International Publishing Group (CIPG), China Academy of Social Sciences (CASS) and Xinjiang Academy of Social Sciences. “As a global economic power, China has a tremendous number of economic sea lanes to protect. China is justified to develop its military capabilities to safeguard its sovereignty and protect its vast interests around the world." 1. Frequent US statements to "check" China's rise. For example, former US Defense Secretary Leon Panetta said in a 2011 address to the Naval Postgraduate School in California: "We try everything we can to cooperate with these rising powers and to work with them, but to make sure at the same time that they do not threaten stability in the world, to be able to project our power, to be able to say to the world that we continue to be a force to be reckoned with." He added that "we continue to confront rising powers in the world - China, India, Brazil, Russia, countries that we need to cooperate with. We need to hopefully work with. But in the end, we also need to make sure do not threaten the stability of the world." 2. Chinese strategists see a long chain of islands from Japan in the north, all the way down to Australia, all United States allies, all potential controlling chokepoints that could block Chinese sea lanes and cripple its economy, business and industry. Karakoram Highway-World's Highest Paved International Road at 15000 ft.
Chinese Premier's emphasis on "connectivity and maritime sectors" and "China-Pakistan economic corridor project" is mainly driven by their paranoia about the US intentions to "check China's rise" It is intended to establish greater maritime presence at Gwadar, located close to the strategic Strait of Hormuz, and to build land routes (motorways, rail links, pipelines) from the Persian Gulf through Pakistan to Western China. This is China's insurance to continue trade with West Asia and the Middle East in case of hostilities with the United States and its allies in Asia. As to the benefits for Pakistanis, expanded trade and the Chinese investment in "connectivity and maritime sectors" and "China-Pakistan economic corridor project" will help build infrastructure, stimulate Pakistan's economy and create millions of badly needed jobs. Clearly, China-Pakistan ties have now become much more strategic than the US-Pakistan ties, particularly since 2011 because, as American Journalist Mark Mazzetti of New York Times put it, the Obama administration's heavy handed policies "turned Pakistan against the United States". A similar view is offered by a former State Department official Vali Nasr in his book "The Dispensable Nation". How Strategic Are Pak-China Ties? Can Pakistan Say No to US Aid? Yuan to Replace Dollar in World Trade? 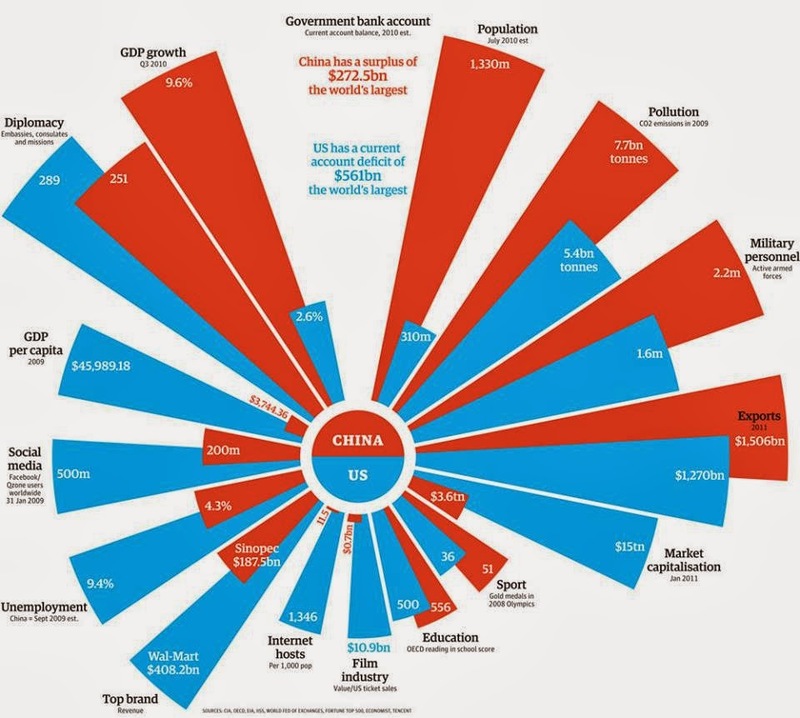 Can Chimerica Rescue the World Economy? Pakistan-China connectivity plans include high-speed fiber-optic connections as well. With this new link, Pakistan is going to enjoy the redundant internet voice and data connectivity through China. Country is currently severed with spurs through undersea cables namely SEA-ME-WE 3&4 and IMEWE. This dependency is not only a risk but also entails security concerns, noted APP. The voice/data and internet traffic can be monitored and disturbed easily. To offset such a threat, through this project, a link will be created between Pakistan and Trans-Asia Europe (TAE) cable in China, which would enable both Pakistan and China to have alternative routes for their international telecom traffic,” said the report citing its source. The elites of both countries have termed Pakistan-China Economic Corridor as “future of the world,” as almost 3 billion people, which is almost half of the world’s population, from China, South Asia, Central Asia could benefit from this economic corridor. The official data provided by Pakistan’s Federal Ministry of Planning and Development showed that being one of the biggest transit trade routes in the world, it would link China to the Middle East, Central Asia, Africa and other regions and give access to the landlocked countries to the world biggest markets, India and China. It stated that the Pakistan-China Economic Corridor would be of high economic value as about the 3 billion people at both sides of the border would be its direct beneficiary while the overall bilateral trade volume would be increased to 7 billion dollars. The data further showed that Pakistan intends to get the greatest benefit out of this project and for that it has planned to establish industrial parks and economic zones along the Kashgar-Gwadar trade corridor. Pakistan’s central government’s seriousness to get maximum benefits from the Pakistan-China Economic Corridor can be judged with the fact that it has already approved the projects worth 52 billion to be started in the economic zones. Dr. Zafar Mehmod, a prominent economist, opined that the poverty rate would be reduced to the minimum while the unemployment would almost come to an end. Talking about the economic corridor, Javed Shahzad Malik, the high official of Ministry of Kashmir Affairs and Gilgit-Baltistan, said the dream of building up economic corridor is being translated into reality and work is under way to upgrade KKH, motorways, and railway lines, fiber optic, and oil and gas pipe lines. 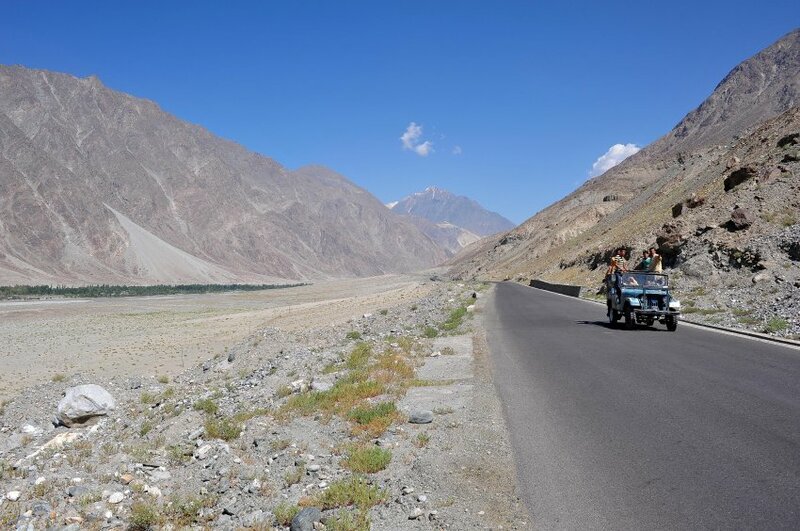 He said a number of tunnels with overall length of 200 km would be constructed on different locations to maintain the vehicular speed on KKH at 80 km per hour. Speaking with a Kabul-based Journalist, writer and political activist who worked as an advisor in the Hamid Karzai government, Azam Beg Tajik hoped that such a trade route would become a profitable hub and economic activity center, serving as a lifeline to the economy of the country in the near future. Given the future economic prospects highlighted by the experts, government officials and local people, it is expected the Pakistan-China Economic Corridor would not only help boost economic activities but also bring the socioeconomic conditions and living standard in this region at par with other developed regions of the world. The Executive Committee of National Economic Council on Thursday approved a dozen development schemes worth Rs428 billion including projects related to China-Pakistan Economic Corridor and raising of Balochistan Constibulary. Under the chair of Finance Minister Ishaq Dar, the ECNEC also approved the construction of Karachi-Multan-Lahore Motorway (KLM) Project’s Sukkur-Multan leg. The approval came just days before a Pakistani delegation is set to leave for China to discuss financing issues of infrastructure and energy sector projects that will be completed under the economic corridor project. The 387 kilometer long Sukkur-Multan project will be completed at a cost of Rs259.4 billion. 90% of the project cost will be funded by China, according to a handout issued by Ministry of Finance after the ECNEC meeting. The remaining cost of the project will come from PSDP. The project is expected to be completed by October 2017 and will be executed by National Highway Authority. The project envisages construction of 387 km long, six lanes, Sukkur-Multan section and is part of 1,148 km Karachi-Lahore Motorway. The body also approved land acquisition, affected properties compensation and relocation of utilities for construction of the Motorway. This will cost Rs51 billion. With the approval of the land acquisition and construction of a section of the Karachi-Lahore motorway, the issue of Pak-China corridor route has been settled. In order to address security concerns on the old western route through Balochistan, the government has opted for the new Eastern route despite protestations from Khyber-Pakhtunkhwa (K-P) and Balochistan parliamentarians. The old route was along the western lines of the country but passes through some restive areas. Pakistan and China have agreed to construct the economic corridor that will give access to western parts of China to Gwadar port for international trade and secure energy supplies for the future. The ECNEC approved a project for raising the Balochistan Constabulary at a cost of Rs5.2 billion. The project is aimed at assisting police and district administration in maintaining law and order in the crisis hit province. The project will see a 10,000 strong Balochistan Constabulary for which 6,000 personnel will be recruited. 4,000 reserve police personnel will be merged into this force to raise it to 10,000 members. The constabulary will also be responsible for ensuring security along the economic corridor. The body also approved acquisition of land for establishment of Free Trade Zone in Gwadar at a cost of Rs6.5 billion. 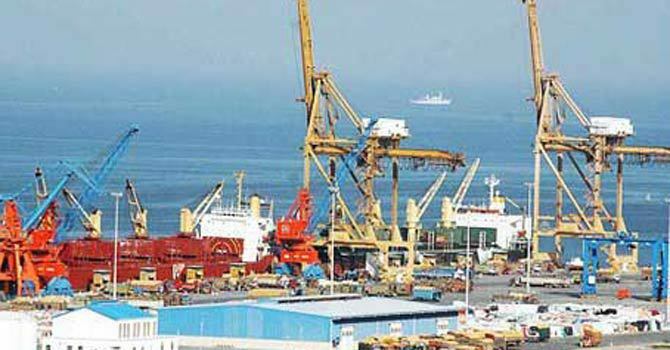 The project aims to acquire 2,281 acres of land for establishing a free trade zone at Gwadar Port. 1,627 acres of the required land would be acquired from private land owners. The meeting also approved the widening and improvement of the 250 km long Kalat-Quetta-Chaman Road section of National Highway N-25 with a revised cost of Rs 19.2 billion. Pakistan is eying the Beijing’s proposed huge investment of about $40 billion over the next eight years in the country’s energy, water, coal, roads and other infrastructure projects. According to the Board of Investment, a sizeable growth will be recorded in the foreign direct investment inflows from the next year’s second half. The BOI has also established facilitation centers in Islamabad and other provincial capitals to assist small entrepreneurs in setting up their businesses valued less than Rs100 million, Dr Miftah Ismail, special assistant to the prime minister and chairman of BOI, told the media persons on Tuesday. These offices will facilitate small and medium enterprises through one-window operation in obtaining utility connections and government registration approvals at federal, provincial and district levels. These types of legal and other administrative approval always take time. “We are working with the provinces on simplification of their laws regarding businesses establishment, as the government wants to encourage business and creation of jobs,” said the chairman. Business persons who want to establish their businesses will have to first apply to the head office and if they require support in provinces in taking approvals or permits, “Our directors and other officers will fully facilitate them. This facility is available to investors and entrepreneurs with capital of Rs100 million or less,” he said. Dr Ismail said the investment to gross domestic product ratio decreased substantially to 14 percent in 2013-14 from 19.2 percent in 2007-08 because of lowering local and foreign investments. The fixed investment to GDP ratio was recorded at 12.4 percent as against 13 percent last year. Pakistan’s ranking in the World Bank’s ‘Ease of Doing Business’ and on the ‘Global Competitiveness’ has been deteriorating over the last several years. In ease of doing business, the country’s rank was at 61, which gradually slid to 110 in 2014. The investment board chief said the board has developed an implementation plan to simplify the procedures and reduce time/cost for investment facilitation and business improvement. For that, the board is consulting with the finance ministry, Federal Board of Revenue, Securities and Exchange Commission of Pakistan and Employees’ Old-age Benefits Institution. Besides, said the PM special assistant, the board is focusing on improvement of the five indicators in ease of doing business index, including starting a business, dealing with construction permit, tax payment, trading across borders and enforcing contract. He said business regulatory environment is particularly relevant for small and medium enterprises – the key driver of competition, economic growth and job creation, especially in developing countries like Pakistan. SMEs employ some 80 percent of non-agricultural labor force and contribute about 40 percent towards the gross domestic product. Some 1,254 kilometres of railway track from Kotri to Attock City via Dadu, Larkana, Jacobabad, DG Khan, Bhakkar, Kundian will also be upgraded. Islamabad: Pakistan has planned a major installation and upgradation of railway tracks under the China-Pakistan Economic Corridor, Radio Pakistan reported on Sunday. Under the plan, new railway tracks will be laid from Gwadar to Quetta and Jacobabad via Besima. Five hundred and sixty kilometres of track will be laid from Bostan to Kotla Jam on main line-II via Zhob and Dera Ismail Khan, while 682km of track will be laid from Havelian to Khunjrab, the state-run broadcaster's website said. Upgradation of 1,872km of railway track from Karachi to Peshawar via Kotri, Multan, Lahore, and Rawalpindi (including Taxila-Havelian) - along with dualisation of track from Shahdara to Peshawar - will also be carried out. Further, the government on Saturday gave its final go-ahead to four mega projects, including two road construction schemes under the China-Pakistan Economic Corridor (CPEC) at a revised cost of Rs862 billion - Rs214 billion or one-third higher than original estimates. The Executive Committee of National Economic Council (Ecnec) approved the 969-megawatt Neelum Jhelum Hydropower project as well as CPEC's 118-kilometre-long Havelian-Thakot and 392-km Sukkur-Multan sections of roads. It also approved the National Highway N-70 East-West Road Improvement Project. Feasibility study for rehabilitation and up-gradation of main railway line from Karachi to Peshawar is in progress under China Pakistan Economic Corridor (CPEC) project. Ministry of Railways sources said the project will be completed by 2020 with the help of the Chinese government. On the completion of CPEC project, speed on main line will be increased from 105 KMPH to 160 KMPH. Apart from this, five years plan is also being prepared for rehabilitation and improvement of railways track on the network. 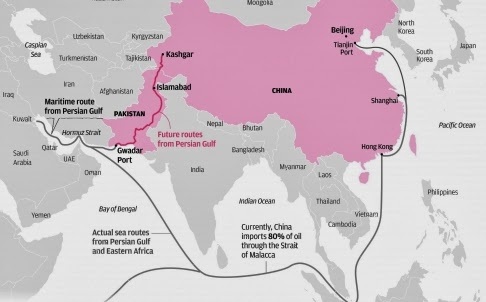 Gwadar, jointly developed by Chinese and Pakistani engineers, lies at the convergence of three of the most commercially important regions of the world, the oil-rich Middle East, Central Asia, and South Asia. “The port will be in full operation by end of this year,” said Zhang Baozhong, chairman of China Overseas Ports Holding Company Ltd., who is in charge of development and operation at Gwadar. The deep water shipping port, built with Chinese financial and technical assistance, is central to the recently launched grand cooperation agreement between the two close allies. The so-called China-Pakistan Economic Corridor, known as CPEC, is a package of building railroads, highways, pipelines, power plants and industrial zones with an investment of $46 billion. It will also give Beijing greater access through Pakistan to global markets, including Africa and Europe. ​Baozhong told a conference of officials, politicians and foreign diplomats in Gwadar, that almost no trading activity is taking place at Gwadar right now but that is expected in a year. “We are expecting that roughly one million tons of material will go in and out,” he said. Initially, most of the cargo will be construction material worth billions of dollars for ongoing and proposed projects such as building roads, schools, hospitals, a free trade zone at the port, and the city’s international airport, which is expected to be started by the end of this year, explained Baozhong. Gwadar is located in Baluchistan province where separatist groups have, for decades, waged guerrilla attacks against key government facilities, officials and security forces. Pakistani authorities in recent months have stepped up what they say are targeted operations against the insurgents and have also raised a special force within the past year for the protection of CPEC-related projects in and beyond the province. “I assure you that security of CPEC is our national undertaking and we will not leave any stone unturned. We will continue to keep a close watch at its every step.To this effect, a 15,000-strong, dedicated force is already in place under the ambit of Special Security Division,” said the Pakistan military chief, General Raheel Sharif, while addressing the conference in Gwadar. Chinese officials also said that Pakistan’s counter-militancy efforts have addressed safety concerns to “a great extent” and sped up on all the projects in the last year. “The improved environment in Pakistan has created favorable conditions for the China-Pakistan Economic Corridor.A remarkable progress has been made in CPEC projects,” said acting Chinese Ambassador to Pakistan Zhao Lijian, in his speech to the conference. Chinese operators of Gwadar's port say they are also developing a mechanism to improve quantity and quality of the local fishing industry to help boost the region’s economy. A 923-hectare free trade zone outside the port, expected to be in place by the end of next year, will have a large processing plant, a large refrigeration house, and other facilities to improve seafood exports, said Baozhong. "Over the next 10 years, the (Pakistan) government aims to increase the share of rail in transportation from 4 percent to 20 percent, which will help lower the costs and environmental impact of moving goods across the country," according to a statement from the state-owned railroad. The majority of GE Transportation's Evolution locomotives - its most technologically advanced model - are built at its plant in Fort Worth, Texas. The locomotives sold to Pakistan, however, are being built in Erie, where the company builds most of the locomotives it produces for foreign sale. To mark the arrival of the new GE locomotives, more than 200 senior government officials, private sector partners and members of the media attended a ceremonial luncheon at the port, according to Pakistan Railways. Building the locomotives has provided some much-needed work at the Erie plant at a time when new orders have been slow to arrive. Earlier this year, GE Transportation reduced the workforce at its local plant by 1,500 people because of a slowdown in the rail freight industry. While much of that slowdown has been attributed to reduced reliance on coal, the new GE locomotives delivered to Pakistan will be used primarily to transport coal inside Pakistan. Five locomotives are expected to haul coal daily, carrying 12,000 tons of freight. The National Transport Policy available with The Nation has recommended that Pakistan Civil Aviation Authority will be restructured, separating its regulatory and service provision responsibilities. Work on the National Transport Policy was initiated by the Ministry of Planning, Development & Reform in collaboration with Department for International Development (DFID) and Asian Development Bank (ADB) in February, 2017. In road transport the NTP said that the priority for passenger transport by road will be to enhance the usage of non-motorized transport and public transport. An increased focus will be made to the provision of public transport services and integration to other modes. Private transport will be considered complimentary to non-motorized transport and public transport, and will provide reliable access to low density and remote areas. For freight, the predominant movement by road transport will increasingly be shifted to rail and pipeline, by better integration of agriculture and industry to rail stations, dry ports, and pipelines. Rural roads will remain vital for providing accessibility to local communities and public services, Urban roads will be designed to support efficient and effective urban transport and International road transport will be supported by accession to and implementation of relevant international road transport agreements and conventions. Leasing within the Right of Way shall not be pursued. Regarding the maritime transport the NTP said that maritime sector shall be geared to become a major engine of growth through its support and facilitation of international trade. Karachi and Port Qasim ports will serve as the primary international gateway ports for all types of commodity shipments, with Gwadar Port balancing national trade opportunities, transshipment and regional transit. A port-city council planning forum will be established to support port developments. Ports will be operated under a landlord port model. Private sector terminal operators will lead in providing specialist terminal facilities and service delivery. Public sector will provide supportive port and navigation infrastructure and regulatory oversight. Coastal port harbour facilities will be promoted, including freight and passenger shipping service concessions. Maritime security will be enhanced for all maritime zones and implementation through maritime security agency. (xvii) An independent regulator will be established as national maritime authority. Regarding the pipelines NTP said that oil, gas and bulk liquid will principally be transported via pipelines. Bulk dry commodities will be considered via slurry pipelines or conveyors upon establishment of a supporting business case. Pipeline connections will be established to ports, terminals, refineries, storage depots, dry ports, airports, industrial zones and to periphery of urban areas. Regarding inland waterway transport the policy said that inland waterway transport will be promoted as a cheaper alternate, and environmentally friendly mode, and will become an element of intermodal transport services in conjunction and support of rail and road freight and passenger connections. Passenger ferry services will target cross-river linkages, urban transit corridors, and coastal estuaries/ zones, as alternatives to rail and road access. An inland waterway transport master plan will be developed, actively exploring other navigable rivers and canals, considering effective riverine water management planning. The NTP further said that urban transport will be considered as a single integrated transport system and planned in accordance to the hierarchy of modes, including public transport, private transport, non-motorized transport, and freight transport.